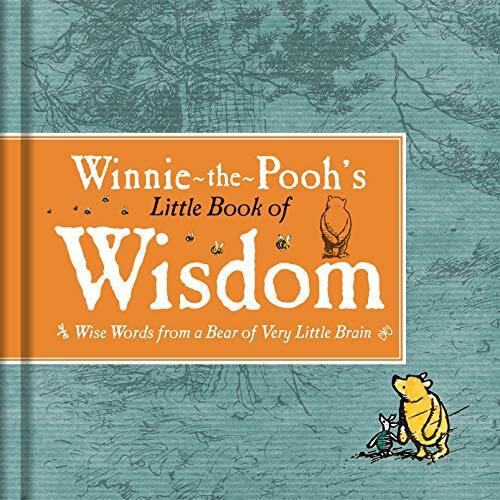 Winnie-the-Pooh may be a Bear of Very Little Brain but this adorable little book is teeming with Wise Words and Useful Advice. With topics ranging from the 'Art of Disguise' to 'Gastronomic Disappointment', this humorous book gives you Pooh's unique take on life. Based on the classic Winnie-the-Pooh stories by A. A. Milne and featuring E. H. Shepard's delightfully charming illustrations. A lovely gift for a friend or an ideal stocking filler. Look out for: Winnie-the-Pooh: Eeyore's Book of Gloom Winnie-the-Pooh: Love from Pooh Winnie-the-Pooh: Tigger's Little Book of Bounce The nation's favourite teddy bear has been delighting generations of children for 90 years. Milne's classic children's stories - featuring Tigger, Piglet, Eeyore, Christopher Robin and, of course, Pooh himself - are both heart-warming and funny, teaching lessons of friendship and reflecting the power of a child's imagination like no other story before or since. Pooh ranks alongside other beloved character such as Paddington Bear, and Peter Rabbit as an essential part of our literary heritage. Whether you're 5 or 55, Pooh is the bear for all ages.